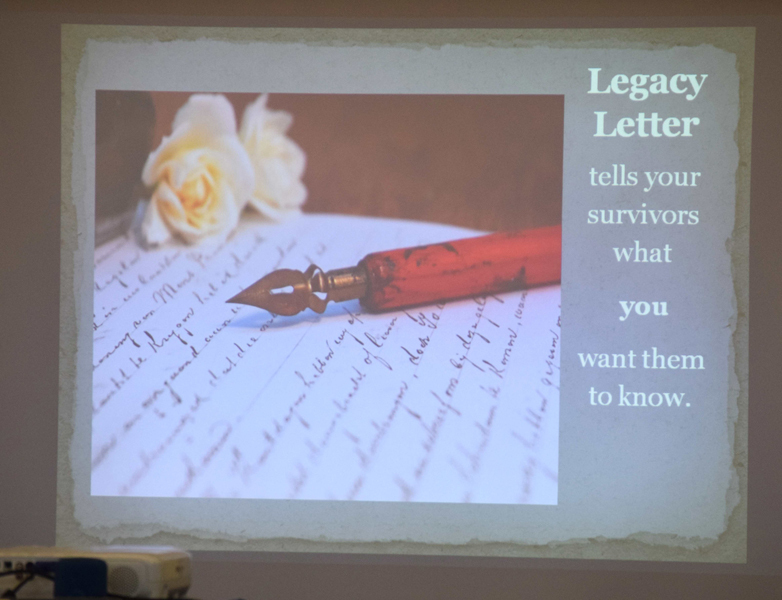 Over 40 participants joined the “Writing Your Legacy Letter” workshop at Holy Family Manor, Bethlehem to create “ethical wills,” which share love, wisdom, faith and life lessons with loved ones. 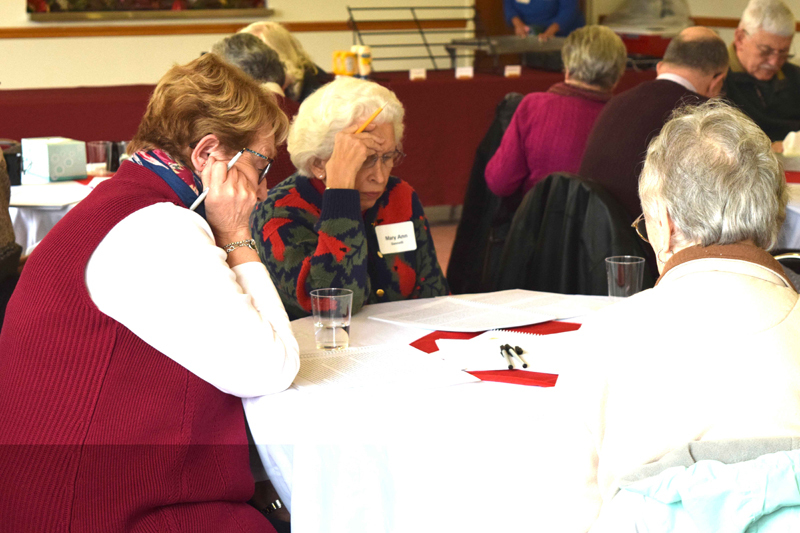 Hosted by the Diocese of Allentown on Jan. 10, the day began with a special Mass celebrated by Father Anthony Drouncheck, chaplain at Holy Family Manor. The workshop, led by Ginny Downey and Paul Acampora from the Diocesan Office of Stewardship and Development, offered a brief history of legacy letters and ethical wills, and provided guidance and hands-on exercises so that participants could create unique, personal documents to share with heirs and loved ones. Downey explained that Legacy Letters, which were common during the Middle Ages, have biblical origins. In the Book of Genesis, Jacob, nearing the end of his life, calls all his sons one by one and tells them what he hopes for them. In John’s Gospel, Jesus, preparing for his own death, takes time to speak with each of the 12 disciples. 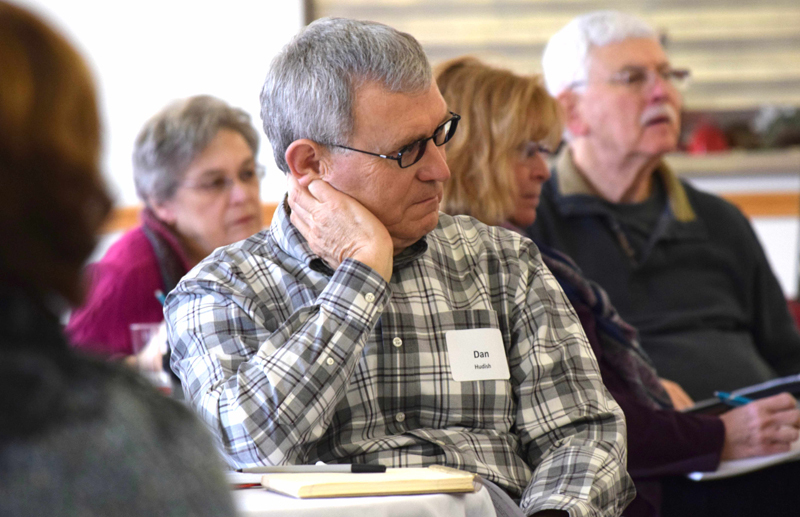 “Sharing what matters most with the people we love is an important part of end-of-life planning,” said Downey, who oversees Diocesan estate and planned giving programs. “The point of the letters is to share them,” added Paul Acampora, secretary of Diocesan Secretariat for Stewardship and Development. “Your Legacy Letter tells your survivors what you want them to know,” Downey said. 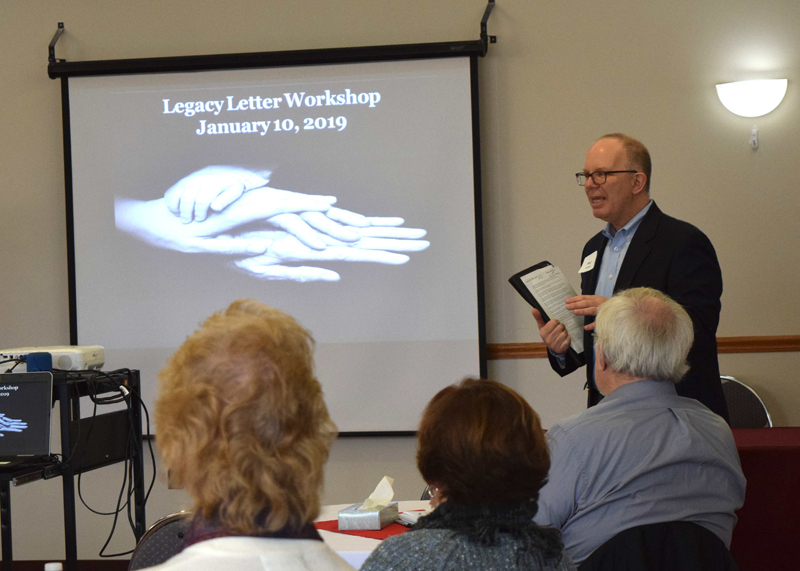 To learn more about Legacy Letters or to schedule a workshop in your parish, contact Ginny Downey, gdowney@allentowndiocese.org or 610-871-5200 ext. 2244. 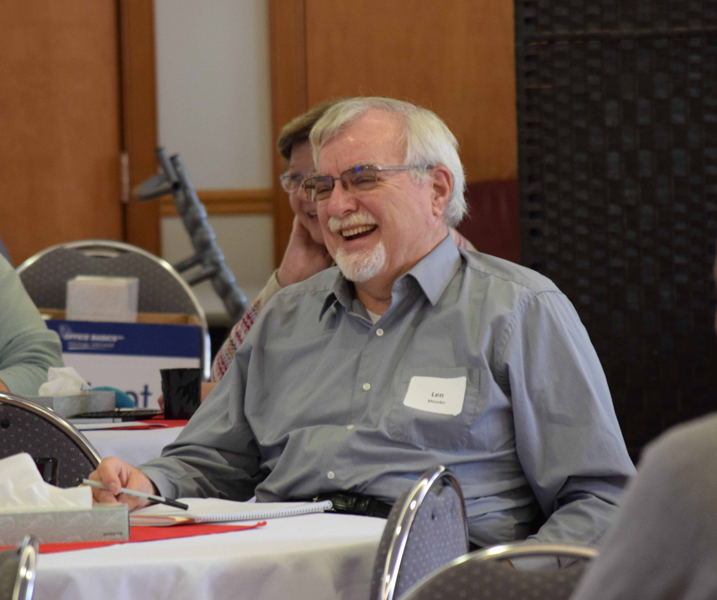 Len Mozako enjoys the workshop hosted by the Diocese of Allentown. Paul Acampora begins the workshop. Those gathered work on writing their letters. Dan Hudish listens to the presentation.